Team InterCoastal Net Designs is back from New Orleans for VRMA Annual 2015 and it was a blast! For three days, we took the stage, vendor showcase (and some bars too) to have the most fun and education possible. I think it’s safe to say that everything we set out to do was accomplished. Representing our team at VRMA was President Brandon Sauls, Sales Director Vanessa Humes, Sales Rep April Burns and yours truly (Conrad O’Connell, Director Of Digital Marketing). Arriving on Saturday, we were able to carve out some time to get our booth setup dialed in before the rush. They’re wonderful, aren’t they? You just sit back and relax, while guests enter their credit card information into a checkout page, giving you money. If you’ve invested into a industry-leading vacation rental website design, you’ll start to increase your online booking percentage by a healthy margin. And, if you’re like us, you want to see how your marketing investment is going to pay off in the long-term. But, if you haven’t invested in upgrading your vacation rental website lately, you may wonder what you’re missing out on. After all, it’s easy to rely on the crutch of a large listing site sending you leads instead of investing into your own website’s platform first. 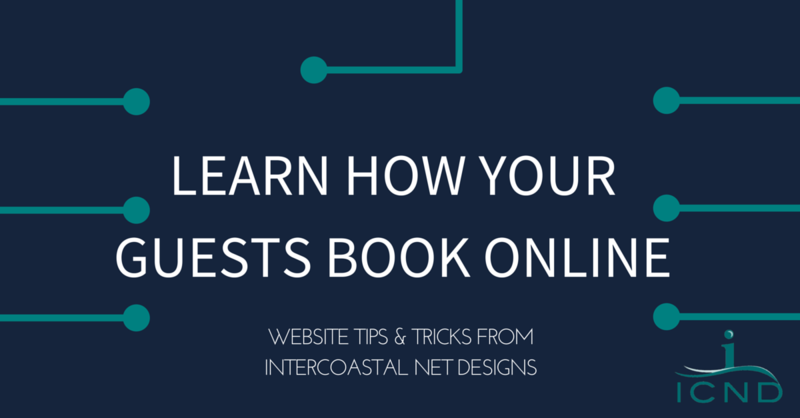 At InterCoastal Net Designs, we’ve spent years refining the vacation rental booking steps, processes,flow, and layout. Across the past year, we’ve seen amazing leaps in conversion rates, online booking revenue and overall website performance. We’ve been relentlessly trying to measure and evaluate every single step of a vacation rental website booking – all with a single goal of providing more online bookings. 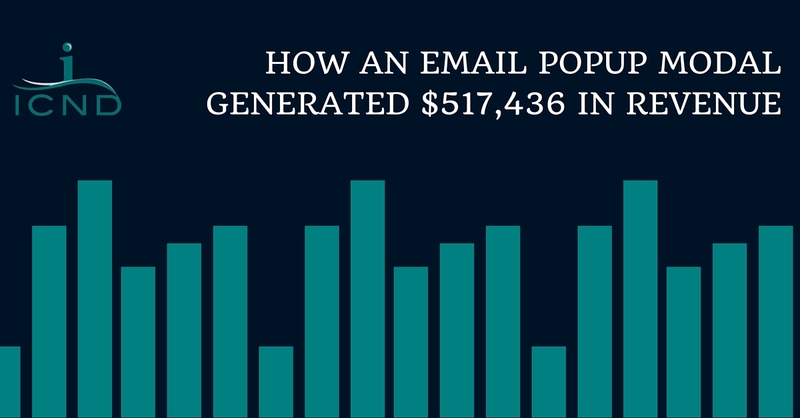 But, showing off these results isn’t always easy – because website conversions are messy. Simply put, guests rarely book the same way, during the same visit with the same steps. Every conversion ends a little bit differently – just like your rentals! Do you want to better understand and learn how your guests actually book on your website? Read on. First up, before you can even think about digging into your website and evaluating its performance, you need to make sure you’re measuring your web analytics properly. This base set of measurements will help you check your website performance later on. It’s easy to get caught up in the stats and numbers. But, if you have all of these pieces being measured correctly, then you’ll be off on the right foot. If you’re looking for more resources, check out your Google Analytics reports under the “Goals” and “E-commerce” sections for a better idea of the interactions that are happening on your website. After you’ve tested and made sure you’re tracking everything correctly, the next step is to make sure your basics are covered. For our vacation rental websites, this means that we’ve got all of our lead-capture forms working and they’re being tracked. Next, we’re making sure that the base (foundation) of the booking process is sound. Does the homepage have an easy to use quick search box? Can I quickly filter my results? Do I have to constantly click lots of forms, or it easy and simple to filter my results? On the results page, is there an urgency component that makes me want to book this rental? How does the photography look – can I see the quality of the rental easily? When viewing a property detail page, does it show me critical information like reviews, availability, location (quick map) and rates? What are the property amenities and description like? Can I use this data to solve most questions before they clog up my inbox? What about reviews? They should be up to date, easy to find and have names attached. Your guests are going to evaluate every single element of your website design – they’re looking for all of the information they could possibly need– plus a bit more too! If any one of these foundation checkpoints (above checklist) isn’t addressed clearly, many guests will just leave and not bother to book with you. Your professionalism and competency as a vacation rental company often comes down to first impressions – and your website is that first impression for your brand. Making sure that the basics are nailed in your vacation website is critical. If it’s too hard for a guest to book online, then your chances of conversion fall even more. Elegantly executing on the basics leads to a fantastic user experience. As you’ll learn in this next section, guests don’t book on their first visit. To keep them around and happy, you’ll have to exceed their expectations. The next step, after confirming you’re working with a solid foundation, is to dig into your analytics package and really measure guest flows and booking tendencies. By far, the most common report I look at to show the fungible nature of the booking process with our clients is the conversion path report in Google Analytics. Viewing this report is truly eye-opening and captures how guests actually interact with your website. Instead of clicking on your website in Google, doing a date search and booking, you’ll instead see the real path they took to convert. For many of our clients, we’ll see that 3-5 interactions with the website is very common. This can reach into 10 or even 20 or more interactions with a website before booking. Guests browse, leave your website, check prices elsewhere, ask their Mom about the rental and who knows what else before confirming their booking. For this particular client, guests often book after visiting the website twice. But, a very common conversion path (one that I see constantly with our SEO clients) is the Organic Search > Direct path. This one is usually from ranking high on Google for major keywords, then the guest will browse around, leave the website and consider the rental, then come back later directly to the website and book. In a normal Google Analytics revenue report, this conversion will show as direct. But, if you think about it, the guest would have never found the website if not for the traffic from Google search. In my mind, the Organic search traffic drove the lead much more than the last-click booking channel (in this case, direct). As you drill down into this report, you’ll learn a lot about the consideration path that a guest takes before booking. Many guests will visit your website 5 or 6 times before booking. Some will open 7 different promotional emails and then book. You can dig through this report for hours – and you’ll get a lot of out it. I highly recommend reviewing this report and looking for patterns – do your guests look at dozens of properties before booking? This could be a bad signal as they are not finding what they’re looking for. Is your time on page very low with a high bounce rate? Perhaps your pay per click targeting is off-topic. This data doesn’t really tell you what to do — but it does provide a framework for allowing you to succeed by letting you dig into the stats that matter. After you’ve analyzed the site the way you think about your website, it’s time to enlist the help of others. 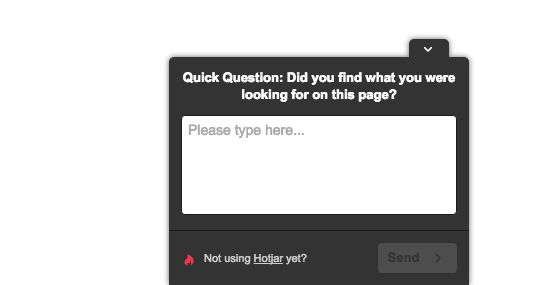 Utilizing feedback tools like Hotjar, we’ve recently been adding surveys and net promoter score surveys (Question: “How likely are you to book with the rental company?”) to our clients websites. The data that we’ve gathered just from people writing in their feedback has been invaluable to learning more about what guests are looking for. Do you have rentals in Peninsula Hotel? These properties show the weekly rate. If Im only staying 2 nights, do I just divide the weekly rate by 7 to get the rate per night? Are there any special rates for students or AAA members? The safety deposit will be completely refunded if there are no damages, correct? All of these responses are highly informative – and they tell us a story about what guests are looking for on the website. In these cases, we’ve already added different copy throughout several pages of the site to give the guest more information about the rental polices and procedures. Finally, the last step is to evaluate and measure the results of your website marketing efforts. Now you can see how users go through your properties, book rentals, visit the site and what questions they may have. The next step is to take it to the next level – you can utilize A/B testing on homepage layouts, form copy and more to evaluate the results you’re getting from your website a boost revenue and performance. And of course, the ultimate goal remains in focus – get more bookings. 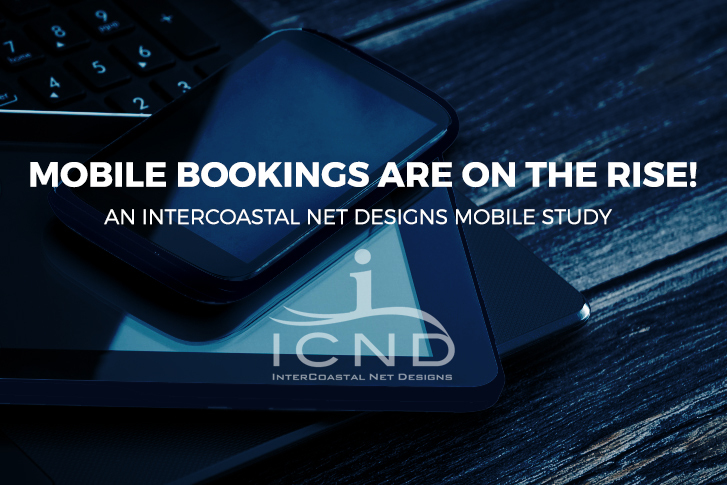 With the help of InterCoastal Net Designs, you’ll get more bookings, leads and top-notch tools that make your vacation rental business better. It’s the worst email we get. I’m squeamish to check — and sadly, some of time, my worst fear is realized. I can’t tell you how many times I’ve heard it. But I’ve tried it before — the return was awful. Along with a host of other problems. Recently, Google has taken to updating the local search algorithm to include new changes to their search results. A recent speaking engagement with the Brunswick County Chamber left us scratching our heads! After only a few weeks, a presentation that I’d prepared about local SEO had to be regenerated with brand new screenshots, updated changes and more. It goes to show you that search engine updates are always around the corner and you never know which elements are going to change. Recently, I gave the local SEO presentation again at the Myrtle Beach Chamber on local search engine optimization. 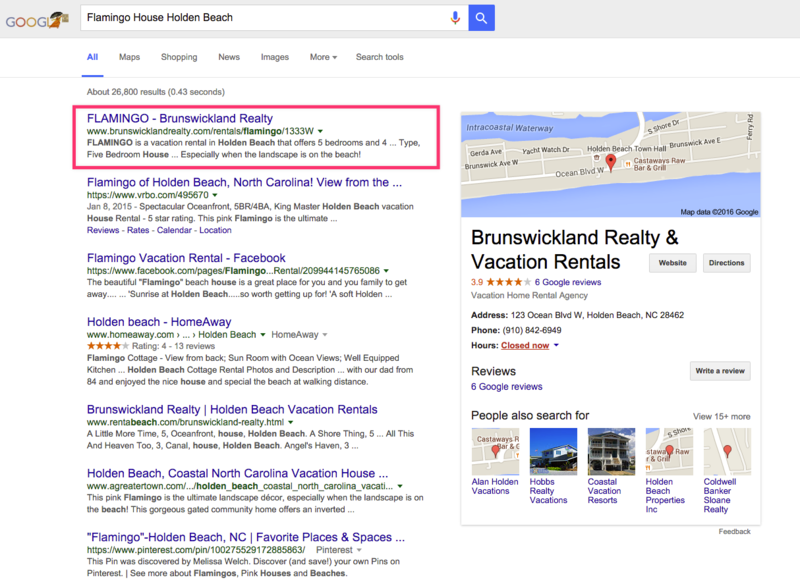 In a competitive market like Myrtle Beach, local SEO is really important. 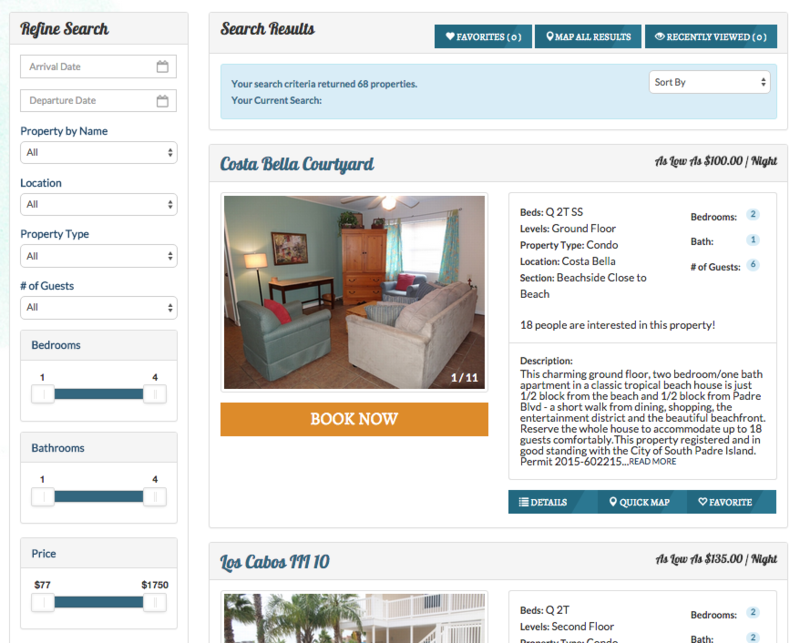 Hotels and resorts like Sandy Beach Resort and other in the Myrtle Beach area rely on local search. I’m happy to report that I’ve updated the slides to include certain elements of the Pigeon update and how it may affect your local search. Check out the full presentation below and let me know if you have any questions about the local search algorithm and how the updates may have changed your organic traffic. Here at ICND, we’re all about finding the path of least resistance for increasing profits. For some clients, that means that we’ll be working on content for their website, updating an old site with a fresh design or creating intelligent social media marketing campaigns. It also means that we’re fans of well-spent paid advertising to produce a fantastic ROI. Today, I’m excited to share some pretty fantastic pay-per-click results we’re seeing with a client in the vacation rental industry. Note: To protect our client’s privacy, we cannot share the location of the rentals. This particular company has been running pay-per-click advertising for a few years, mostly with the intent of generating traffic to their website. With no revenue tracking in place, they weren’t sure what traffic was working the best. They came to us hoping for far better maximizing the spend on their AdWords dollars. The client had a basic understanding of how keyword bidding worked and an okay account structure, but was looking to maximize results. Our first steps were analyzing the current AdWords setup with our comprehensive kickoff audit checklist. After this audit, we found a few glaring holes in the tracking and conversion departments. There was only goal-based tracking in place with no revenue tracking to truly nail down precise ROI on adspend. 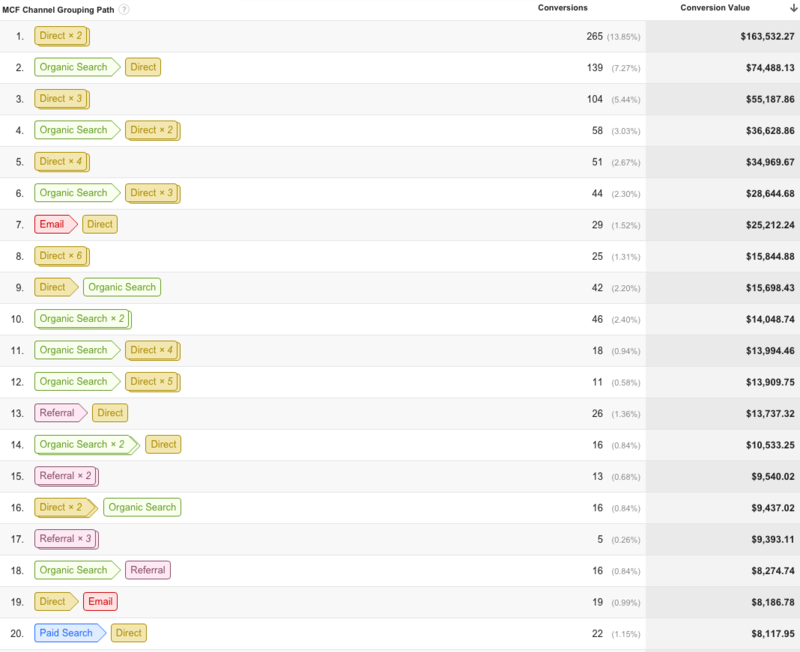 We fixed this immediately and began on improving the account structure, match types and ad copy through testing. After adding conversion tracking we were able to find specific keywords that were generating fairly high click through rates and traffic, but no conversions. Sure, people were on the website and browsing around, but our ultimate goal is to get the best people who are likely to book with pay-per-click advertising. After dumping around 15-20 keywords that were sapping up a fair amount of adspend, we were better able to find keywords that convert into bookings. Finding these keywords has allowed us to spend time on keywords that convert and then breaking up those into separate ad groups for better quality scores. Given that in most of our accounts, we can only spend up to a certain fixed budget, dumping non-performing keywords can provide a huge lift to our ROI. Our steps follow a similar pattern for most of our pay-per-click accounts in the vacation rental space. Setup & run conversion tracking for Adwords to see campaign, ad group, ad copy and keyword level conversion data. Create a really in depth negative keyword list for covering accidental impressions and wasted ad spend. We spend at least a few hours digging up negative keywords every month to add to our accounts to reduce waste. Create a solid campaign & ad group structure that reflects the correct match types, topics, categories and landing pages for maximum quality score. Constantly test elements like landing pages, ad copy and sitelinks to increase CTR. During this month, for every dollar spent in PPC, over $31 was generated in total online booking revenue. Although we hope to implement call tracking soon, this doesn’t take into account bookings from calls as well. This particular client books about half their rentals online – so adding in phone tracking would likely yield another 30k or so in revenue. This does not take into account the portion that Vacation Rental Company gets due to differing agreements, but should shed light on the solid pay-per-click results we’re seeing in this particular market place. 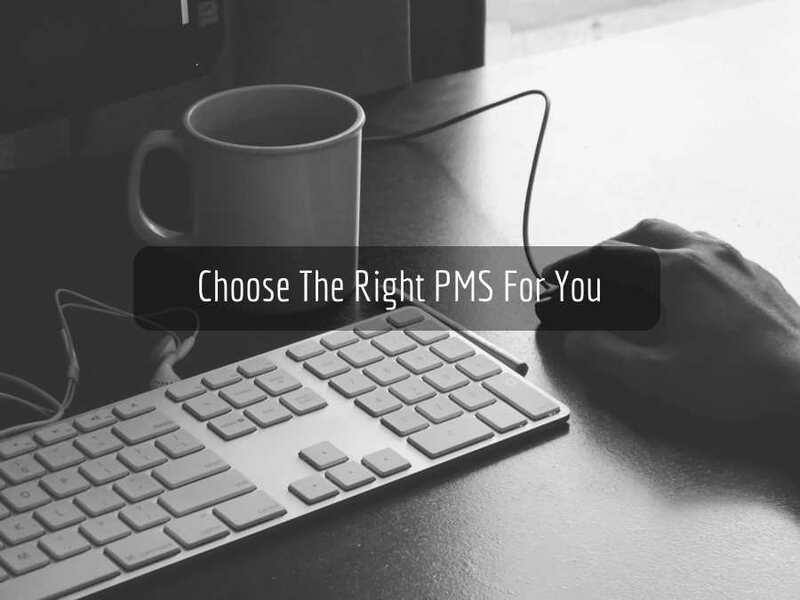 Performing a solid pay-per-click campaign takes time and a solid knowledge of match types, quality score, great landing pages and a willingness to tweak, test and deploy quickly. But in many markets, the competition just does the bare minimum: they’ll create one-line ads straight to the homepage with zero sitelinks, location extensions and broad match their keywords. 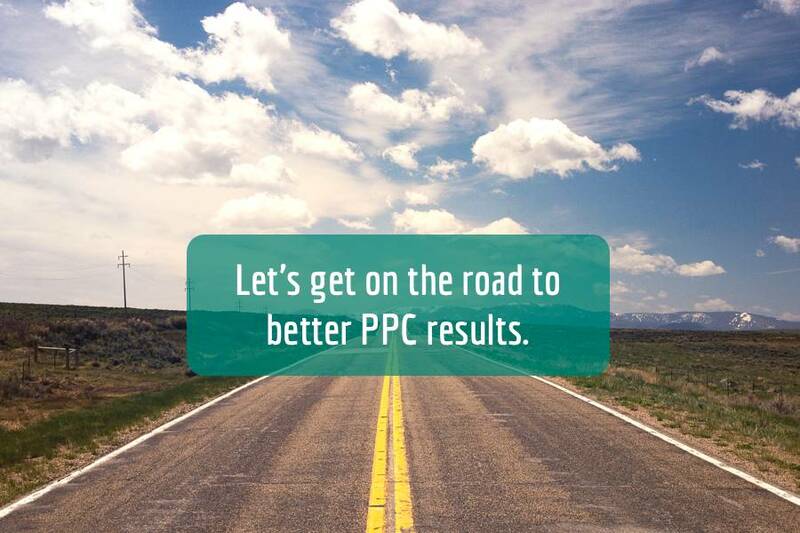 Taking time to do all the little things right in pay-per-click can yield huge results. While your competition is doing the minimum, you can surpass them.